When Ed commissioned Dr. Price to take the lead on co-authoring Evolving out of Eden, he contemplated self-publication as a favorable alternative to dealing with the delay and disappointments of shopping the book to a traditional publisher. Plus, Ed’s a bit obsessive about things like page layout, typesetting, cover design, and ebook availability. He just didn’t want to leave all that in the hands of somebody else. 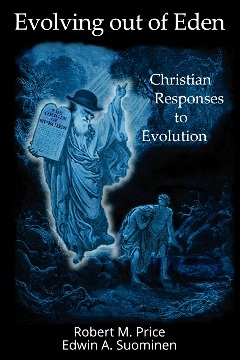 So, the book became Tellectual’s first offering, with an outstanding cover by Bob’s wife Carol Price. It’s sold nearly 1500 copies thus far, exceeding Ed’s expectations and providing a satisfying start for a tiny new indie publisher. 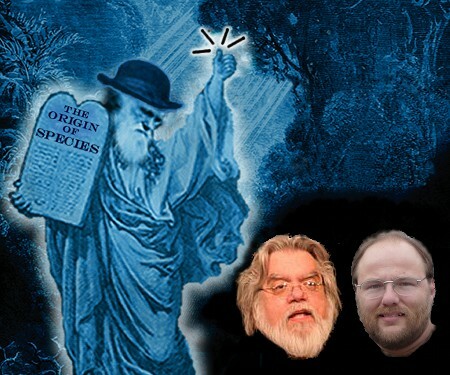 Evolving out of Eden was something Ed wanted to see published because evolution was such a key issue in his departure from fundamentalist Christianity. It was personal for him, and he was delighted to get a brilliant and knowledgeable scholar working with him as a co-author. The two of them are very proud of their book and the favorable reactions they’ve received to it. 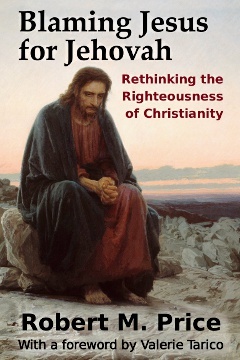 Dr. Price studies the question of the Historical Jesus and is one of the leaders of the “mythicist” school of thought. 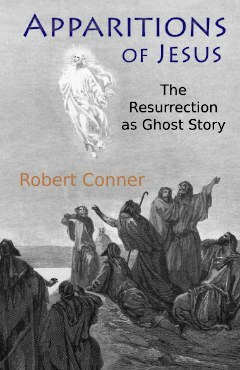 He views the miracle-working, death-defying Rabbi of the four Gospels as the product of myth, not history. But, as if that weren’t enough, there’s another problem, even more perplexing for the faithful though almost completely unknown to them, about the New Testament: Those Epistles of “Paul” revered by Protestants probably weren’t written by the convert from Tarsus! An early advocate of this shocking position was Willem Van Manen, a “Dutch Radical” New Testament critic of the late nineteenth century. 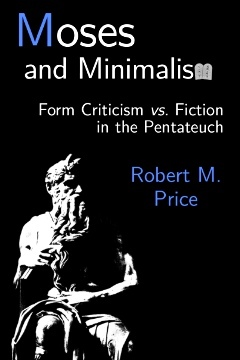 He wrote a few English-language essays that are very instructive about his views on the “Pauline” epistles, and publishing those in book form was a pet project of Bob’s own. The result is A Wave of Hypercriticism, featuring our first deceased public domain author. Bob compiled and edited the digital files provided by one of his fans, Steven Stiles, who’d done OCR work on Van Manen’s English-language essays from scans of musty old pages. Bob wrote an Introduction and Afterword to the compilation and Ed copy-edited the whole thing into another book publication by Tellectual Press. 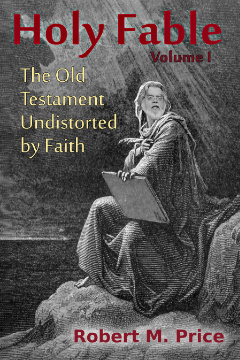 Since then, Bob has entrusted two more of his manuscripts to Tellectual Press for publication, Moses and Minimalism and Blaming Jesus for Jehovah. We gratefully acknowledge the contribution of a foreword by Dr. Valerie Tarico to the latter of those books. 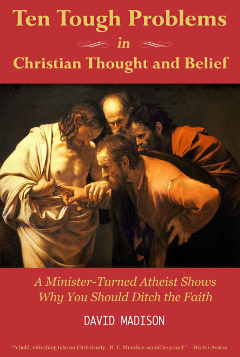 Tellectual’s third author, Charles Shingledecker wrote Freedom to Doubt to help his fellow doubting Christians on the narrow way of honest faith. This book was a labor of love for both him and his editor (yes, Ed again). In it, Chuck shares his hard-won conclusion that faith can and should be filled with the freedom to ask tough questions, the freedom to seek truth, and, yes, the freedom to doubt. David Madison dusted off his long-unused PhD in Biblical Studies (Boston University, 1975) to describe Ten Tough Problems in Christian Thought and Belief with wit and insight that enlivens some 350 pages of straight talk about theological nonsense, interspersed with still-vivid personal recollections. Murray Sheehan (1887-1963) joined our line-up–years after his death–with our reprint of his 1928 novel Eden, surely one of the best books in the Bible fiction genre. After being nearly forgotten in the past ninety years, it’s still a very entertaining read. Tellectual has reprinted this wonderful novel of the Garden of Eden story with an introduction by–you guessed it–Robert M. Price along with Edwin A. Suominen. We’ve since published a fictional work by a living authors: Judith Liebaert grew up in the small town of Superior, Wisconsin, in the shadows of the world’s largest grain elevators and the influence of a rough and tumble Great Lakes shipping port. She spins a fictional tale–Sins of the Fathers–inspired by a sensational unsolved murder committed fifty years ago in her hometown.